Why a controversial border agreement between Kosovo and Montenegro is about more than just lines in the soil. 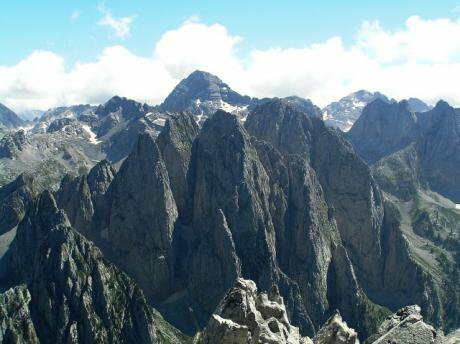 The Prokletije or "Accursed" mountains, which extend across the borderlands of Montenegro, Kosovo and Albania. Wikimedia. Public domain. The demarcation agreement between Kosovo and Montenegro was intended to formally recognise the boundaries between these two countries, as previously achieved between Kosovo and Macedonia. Instead, the issue over the ratification of the agreement exacerbated existing tensions between the ruling elite and opposition politicians, who object that the agreement will lead to a loss of territory for Kosovo. The border de-alignment has remained unsuccessful for almost two years and only halts Kosovo’s path to full international recognition. Borders are often the front lines of conflicts in the Balkans where the ‘nation state’ is strongly represented by its borders and encapsulates the national identity of the country. A continued lack of clarity on Kosovo’s borders halts the country’s progress and further European and international integration. Inevitably, the demarcation agreement between Kosovo and Montenegro will set the precedent for an eventual border agreement between Kosovo and Serbia in the future. Recent tensions over the ‘train row’ and the arrest of Ramush Haradinaj show that any border agreement between Kosovo and Serbia will be challenging. The demarcation agreement is an important cog in the direction of European integration for Kosovo with the agreement a requirement of visa liberalisation. The agreement of formal borders between Kosovo and Montenegro would be a step towards the strengthening of Kosovo’s progress as a fully independent country. Especially as demarcation is a requirement of the visa liberalisation agreement where borders with neighbouring countries (excluding Serbia) must be agreed. Kosovo’s citizens, unlike other countries in the Balkans, need visas to travel to most countries. Visa liberalisation will mean that citizens of Kosovo will not need a visa for visits of up to 90 days to all EU member countries. The European Commission’s recommendation for visa liberalisation for Kosovo, along with Georgia and Ukraine in 2016, was a decision that Kosovo had anxiously anticipated. This signalled a changing tide in favour of freedom of movement for citizens of Kosovo. But, visa liberalisation has faltered for the moment and the country’s citizens continue to be isolated. The agreement between Kosovo and Montenegro caused months of debate and protests last year, along with tear gas canisters released by MPs in Kosovo’s Parliament in protest at the agreement. 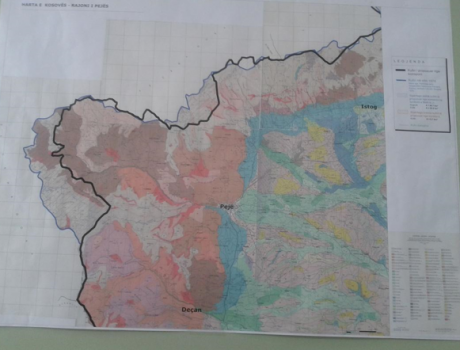 Opposition politicians from mainly Vetëvendosje (Self-determination), but also the Alliance for the Future of Kosovo (AAK) and the Initative for Kosovo (NISMA per kosovën) claim that the agreement would lead to a loss of 8,200 hectares of Kosovo’s land. Protests against the demarcation agreement were organised by Vetëvendosje where one of the largest protests was organised on 17 February last year, organised on the eighth anniversary of Kosovo’s independence, thousands of people turned out in opposition to the proposed border agreement. The decision to host the protest on Kosovo’s Independence Day is not a coincidence, in fact it was a clear sign to the government of the discontent and despair many of Kosovo’s citizens feel, not limited to the demarcation agreement. The conflict surrounding the demarcation agreement has reaffirmed existing tensions within Kosovo’s politics; a lack of trust in politicians, in particular the government’s lack of interaction and compromise with locals and the public on the agreement. Along with the difficult path to full independence which requires the recognition of its borders, and the lack of engagement between politicians and citizens in the Balkans where a top-down approach is favoured by the ruling elite. Corruption and nepotism continue to pervade Kosovo’s politics, reaffirmed with the Grabovci eavesdropping scandal that emerged last summer, and the anger with the agreement has been a vehicle for the anger many of Kosovo’s citizens have with its politicians. Those against the demarcation agreement dispute that the country’s borders should not be squandered. Opposition to the demarcation agreement is steeped in the Balkan wars in the 1990s where the issue of territorial land is rooted in ethnic conflict. Resistance has been fierce against the demarcation agreement as the agreement has been seen as an extension of the injustices committed in the 1990s against Kosovo, in particular the fight over territory has strengthened the zeal to protect any territory at all cost. Opposition groups, AAK, Vetëvendosje and NISMA per kosovën, who are against the demarcation agreement argue that in 1996 Milosevic’s regime moved the border with Montenegro 8km inside Kosovo, with 2,900 hectares lost. Along with claims that in 1999, KFOR moved the border 5km further into Kosovo, with a total of 3,700 hectares lost. The opposition parties want to see the borders decided by the 1974 Yugoslav Constitution. But the US State Department argues that the demarcation agreement is almost exactly the same as denoted by the 1974 Constitution. Prishtina Insight adds that Kosovo is ‘the first ex-Yugoslav country that exclusively uses cadastral data’ which Kosovo did not have control over from 1989 till its independence on February 17, 2008. The newspaper argues that almost all of the cadastral books detailing Kosovo’s territory were taken by Serbia at the end of the Kosovo war in 1999. The lack of cadastral books predating the declaration of independence reduces Kosovo’s ability to accurately define its borders. The Final Report of the Ad Hoc Commission for Reviewing the Border Delineation Process found that the border proposed by the demarcation agreement is the same line set in the Kosovo Process, and that the border municipalities have remained stable since before the 1974 Constitution. The new independent commission will help to determine the geographical territory of the country, though it must include the voices of local people affected by the agreement if it is to succeed. The picture below details the territory the opposition state has been lost in the demarcation agreement with Montenegro. The black line details the proposed border, and the blue line shows the alleged border in 1975. The government was determined to push through the agreement with little interaction with citizens, and merely prolonged the vote on the ratification of the agreement in Kosovo’s Parliament last year. The government chose to wait out citizens’ protests over the agreement and postponed voting to ratify the agreement at least three times and needed a majority of two thirds or 80 MPs of a total 120 MPs, for ratification. Only recently has Kosovo’s government agreed to form an independent commission to map the country’s territory. The Prime Minister Isa Mustafa appointed the Head of the Academy of Sciences and Arts of Kosovo, Hivzi Islami to lead the commission. The independent commission to define Kosovo’s borders with Montenegro is a step towards ratifying the agreement, but greater efforts must be made to interact with citizens who oppose the demarcation. Through engagement with the local population, the government can help to ease the broader ‘malaise’ in Kosovo. The demarcation with Macedonia (FYROM) on the other hand was successful, and renegotiated in 2008 when Kosovo’s independence was declared. The demarcation involved leaders that represented local people affected by the border agreement and communication on a national level. The demarcation commission used cadastral surveys of land ownership and maps of the state border. Citizens in Kosovo were relatively content with the demarcation and, according to activists, only 22 hectares of 2,500 dispute hectares were ‘lost’. Lessons can be learned from the demarcation with Macedonia, and further cooperation with local people is critical if the government is to legitimately ratify the agreement with the consent of its citizens. The demarcation agreement remains a tense topic for the government and a sensitive issue for citizens, with the agreement symbolising an unresponsive government where the voices of citizens are not heard. Citizens feel that the will of higher powers, namely the EU and the US, play a greater role in the politics of Kosovo. In a country with high unemployment at 32.9% in 2015, with this number rising up to 60% among 15-24 year olds, the population has begun to lose hope in the future of Kosovo. The demarcation agreement has become a hotspot for further conflict and a growing ‘malaise’. Instead, the government should hear the concerns of locals who will be most affected by the agreement, especially if, as a new country, it is to cement itself as a democratic and sovereign country. In the future, Kosovo will have to settle its border with Serbia and the border demarcation with Montenegro, a country it does not have a conflict with, could be a sign of the re-emergence of tensions over territory in this region that will emerge.